Recorded: December 4, 2018 – Recording Now Available! 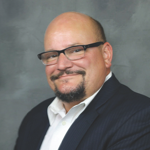 Glen Reiner has been in the healthcare industry for over 25 years, and has recently joined the nThrive Revenue Capture and Charge Audit Services team. Most recently, Reiner served as the Corporate Senior Director of Case Management for Banner Healthcare where he led the Academic Division including acute care, children’s hospital, and psychiatric care facilities. Just prior to his Case Management engagement, Glen directed the Clinical Services Center of Excellence for Adreima, Reiner has also served as the Assistant Director of Nursing for a large healthcare corporation and spent over 16 years as a Registered Nurse, specializing in Nurse Management. His extensive knowledge of healthcare coding, billing, reimbursement, denials, and RAC/MIC audits has been instrumental in the success of many initiatives focused on the intersection of the clinical and financial aspects of healthcare. Glen is an RN and holds a Masters of Business Administration. Reiner is a member of the Arizona chapter of HFMA and is a past Board Member for the AAHAM Western Region. Recorded: December 6, 2018 – Recording Now Available! I have over 15 years teaching experience. Most recent with J Sargeant Reynolds Community College Richmond Va since around 2009. Served and continue to serve on the Advisory Committee. 20 years overall HIM experience to include coding, credentialing, HIM supervisor. Worked as a Coding consultant and DRG validator for CERT for a combination of the past ten years. Now full time appeal writer for coding denials. Been with Denial Research over 5 years but just joined full time last year. Garnette has a bachelor’s degree in health informatics, a master of business administration (healthcare management) degree, and is currently working on completing a doctoral degree in healthcare administration. She is a Registered Health Information Administrator, Certified Coding Specialist, and current AHIMA mentor. Garnette moved to the HIM field in 2011. Prior to discovering this fascinating profession, her background was in IT and management. She has over 15 years of experience in management, training, and customer service. After completing her BSHI to move into the HIM profession, Garnette began work as an inpatient coder for Intermountain Healthcare, a position that she currently holds. While her primary coding specialty is inpatient she also codes ED, ancillary, and outpatient surgery as needed. Additionally, she provides training and mentoring to beginning coders and clinical documentation improvement specialists. Recently, Garnette began a position as Coding Appeals Team Lead for Intersect Healthcare after being a contactor. She writes appeals and serves as a resource for other staff members. She also has direct interaction with clients to facilitate successful appeals. Recorded: December 11, 2018 – Recording Now Available! 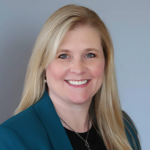 Tracey Tomak is a Registered Health Information Administrator and Project Management Professional with over 20 years of experience in revenue cycle with a focus on hospital coding, charge capture and denials management. In her current role as Director, Project Management and Client Engagement, Tracey is responsible for coordinating project implementation of Intersect Healthcare’s Veracity software. Tracey works directly with clients to ensure that they are fully utilizing the Veracity software in order to effectively manage commercial and government audits and denials. Tracey is an active member of IHIMA, serving as the Nominating Committee Chair for the 2018-19 year. Tracey is a regular guest speaker, lecturer and author on revenue topics such as the Medicare Two-Midnight Rule, RAC and other audit activity, roles within the revenue cycle for health information management professionals, APCs, denial prevention methodology and clinical documentation improvement trends. Recorded: December 13, 2018 – Recording Now Available! Daniel Sergile is a 25-year veteran in the information technology field. For the last 19 years, he has been dedicated solely to information security. During that time, he has started up information security programs in multiple sectors of business to include the banking and telecommunications sectors. Mr. Sergile built the information security program at Cox Communications. He has secured companies globally to include Canon Europa and Rabobank International. Before coming to CiOX, he built the security program for CertusBank as their CISO. 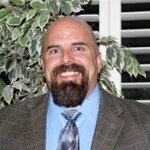 Mr. Sergile is also a veteran of the United States Army and held the additional duty as an information systems security officer. These webinars will be available on-demand. This means the webinars will be recorded and sent out to all paid registrants, even if they register after the live webinar has occurred, or if they cannot make the time and date set for the live webinar. No refunds, as the event will be recorded and playback will be available.